With another G.I. Joe movie set to debut next week I thought it might be appropriate to share this old drawing. 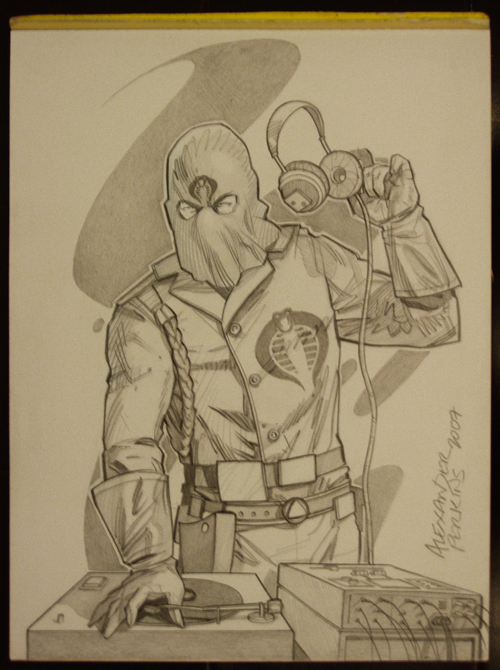 I was lucky to get a snap of the sketch I'd done for a friend back in 2007. 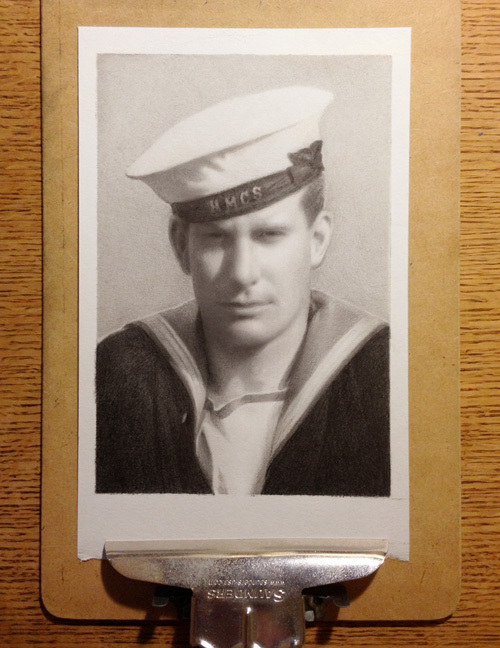 I did this drawing of my grandfather from a tiny 3.25"x1.5" photograph that was taken in 1942 while he served in the Royal Canadian Navy. I had to ring him up a few times while working on this to ask about details I couldn't make out, and he was a big help. 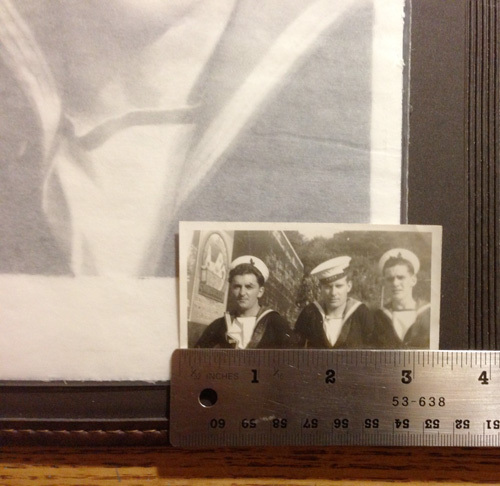 Because the picture was so small and not without blemishes, this photo-reproduction proved to be more challenging than the last. If we come across any more good photographs I'd love to take another crack at it.